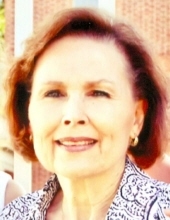 Deborah Rose Price Sanderson, 66, of the Kenansville area, passed away Wednesday morning, April 3, at Kitty Askins Hospice Center. Funeral services will be Saturday, April 6, at 7 p.m. at Unity Baptist Church of Mount Olive with Pastor Ronnie Wise officiating, and followed by visitation. Interment will be Sunday, April 7, at 2 p.m. in the Faison Cemetery in Faison. The family welcomes expressions of love and sympathy through flowers. Mrs. Sanderson was retired from Duplin County Department of Social Services where she was administrative assistant to the director. She was preceded in death by her mother, Dorothy Jordan Price; her father, Charles Allen Price; step-mother, Dorothy McClung Price; and a brother, Steve Corsaro. Survivors include her husband, WIlliam Sanderson, of the home; two daughters, Krystal Sanderson Baker and husband, Lee, of Winston-Salem, and Kimberly Sanderson Twiddy of Goldsboro; four grandchildren, Colin Lee Baker, Kalie Marie Baker, Michael Dylan Twiddy, and Lauren Danielle Twiddy; and six siblings, Craig Price of Fla., Elaine Bailey of Ga., Nicky Price of Greensboro, Ronnie Price of Penn., Johnny Price of Tenn., and Ronda Bradshaw of Faison. To send flowers or a remembrance gift to the family of Deborah Price Sanderson, please visit our Tribute Store. "Email Address" would like to share the life celebration of Deborah Price Sanderson. Click on the "link" to go to share a favorite memory or leave a condolence message for the family.